“The announcement marks a major milestone toward successfully separating Dow on April 1, to be followed by the expected separation of Corteva Agriscience from the new DuPont on June 1,” said Ed Breen, chief executive officer of DowDuPont. After the separation, Dow will be an independent, publicly traded company, it says, pursuing its ambition to become the most innovative, customer-centric, inclusive and sustainable materials science company in the world. 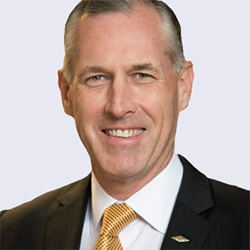 “The new Dow is a more focused, disciplined and market-oriented company,” said Jim Fitterling, chief operating officer of the Materials Science division and chief executive officer elect of Dow.